Mark shares card-by-card design stories from War of the Spark, a set packed with loads of flavorful talking points. Announcing War of the Spark Mythic Edition and its eight beautiful planeswalker cards, along with how you can get your hands on them! With the April update, there is one thing and one thing only on everybody's mind: WAR. The war for the fate of the Multiverse is about to begin! Chris reveals the exclusive cards available inside the War of the Spark Planeswalker Decks! Check out the tokens coming with War of the Spark! Bring digital versions of Magic's best artwork home with quality, high-resolution images uploaded weekly to use as the wallpaper or background for your computer, tablet, or phone. The Set Design team spent nearly two years creating War of the Spark, as set design lead Dave Humpherys recounts—along with a new card! Narset is a master of martial arts and mental discipline with an insatiable thirst for knowledge, and she's come to fight against Bolas. Lands are vital to success in Magic, but they are often taken for granted. Perhaps Gavin's latest preview card can change your perspective. Mark's back with another War of the Spark preview, this week with commentary on how R&D captured the war aspect of the Planeswalker war. As Nicol Bolas sows destruction across Ravnica, Niv-Mizzet has to find a new way to unite the guilds and fight back. Nicol Bolas has anticipated the Planeswalkers' every move; now it's time for the Multiverse's greatest villain to unleash his secret weapon. Think you know how the Planeswalkers in War of the Spark will shake out in bracketed competition? Prove it, and take them all home in foil! Daniel takes us behind the scenes to showcase how Magic's Franchise team has brought Chandra to life in War of the Spark and beyond. Mark's got another War of the Spark preview, this time talking about proliferate and its journey back to Standard. Weirds are one of the weirdest things the Izzet have concocted, and they hold a special place in the heart of GDS3 finalist Chris Mooney. With a name like "Massacre Girl," Katie's War of the Spark preview card makes its interests astonishingly clear. To ensure a set full of planeswalkers would play well, Play Design built answers to keep such powerful heroes (and villains!) in check. Sorin and Nahiri really, really hate one another. Even with the fate of the entire Multiverse at stake, they can't set aside their loathing. Chris reveals the promos and packaging for War of the Spark! Fblthp is always getting himself into trouble and losing his way around Ravnica . . .
Matt reveals the new and returning mechanics you'll see as Nicol Bolas executes his endgame in War of the Spark! Mark leaps into War of the Spark previews by telling the story of the set's focus on planeswalker cards—how it came about and R&D's needs for execution. The preview season for War of the Spark will showcase the story front and center as we reach the dramatic conclusion. How will players prepare for the all-new Duo Standard format? Marshall explores what he expects to see at Magic's biggest tournament ever! Get ready for the biggest Magic: The Gathering event of all time—the Mythic Invitational at PAX East! Mark uses his Storm Scale to rate the mechanics from Kaladesh and Amonkhet blocks to see which stand a good chance of returning. Ben Drago and Bear Schmiedicker are two of the newest faces on our Esports team, here to ensure Magic builds upon its storied history. This month's shiny new MTG Arena updates will have you battling it out in style—take a look at what's in store! A huge overhaul is coming to the Legacy Cube, and Paul Cheon is here to explain the changes you'll find inside the updated cube. Mark describes the many ways in which resonance is woven into Magic design and why it's integral for players to connect with the game. Lead designer Donald Smith Jr. reveals the decklists for the upcoming Challenger Decks and explains the thought process behind each deck. Player of the Year Luis Salvatto rose meteorically to the top of the pro player standings last year, but the best may still lie ahead. Carlos Romão knows what it takes to play at the highest levels of Magic, but the world of streaming and esports is a whole new challenge. We're just over two weeks away from the Mythic Invitational at PAX East, and we're pulling out all the stops! Hall of Fame pro Lee Shi Tian thought his career was winding down, but his passion has been reignited by the Magic Pro League! In-store play has quadrupled in ten years. Here's our plan to keep that growth going for another ten. Mark finishes up his mega series on question words with fan-submitted "where" questions. Checking in on the banned and restricted list for March 11, 2019. You may have seen these beautiful stained-glass Planeswalkers in the WAR teaser, but you may not have guessed all 36 characters would be in the set! Lucas Esper Berthoud's win at PT Aether Revolt jump-started his career, and he's looking to prove himself on the highest stage in the MPL. Jeff Zandi touched the lives of thousands of Magic players over more than two decades. He built for them a community; he built them a home. Mark answers reader questions centered around the "Who" of Magic. 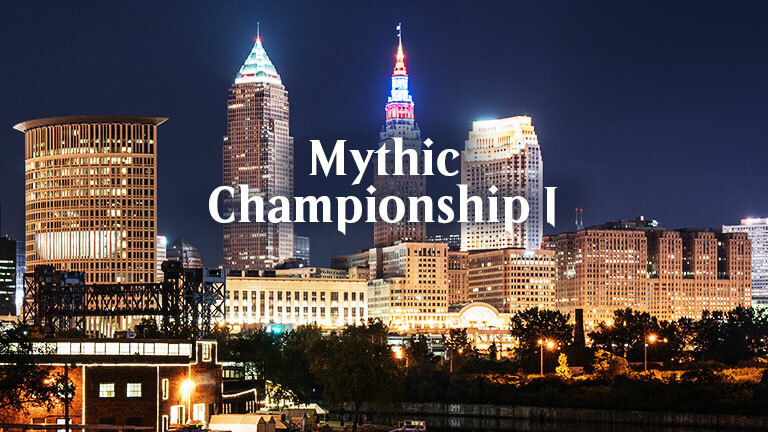 Players in the MPL faced off against each other and over 450 Challengers at Mythic Championship I—and a handful showcased their mastery with stellar results. An Azorius lawmage learns the true value of the law. The first Mythic Championship didn't go the way Brian Braun-Duin had hoped, but the weekend still held plenty of things to celebrate. Mark explains why we just can't do some of the things fans request for Magic.